Quito, Ecuador has been home to Bruce and Cherith Rydbeck for thirty years as missionaries to the capital city and rural communities in the Andes mountains. Before them Cherith’s parents served as missionaries in Ecuador as far back as the 1950’s. They believe in serving Christ by helping the poorest of the poor improve their overall health while bringing them the Gospel through media, water projects, and health/wellness training. Bruce Rydbeck, a civil engineer who has worked all over the world, manages their clean water projects in Ecuador, providing the expertise while the host communities provide most of the labor. 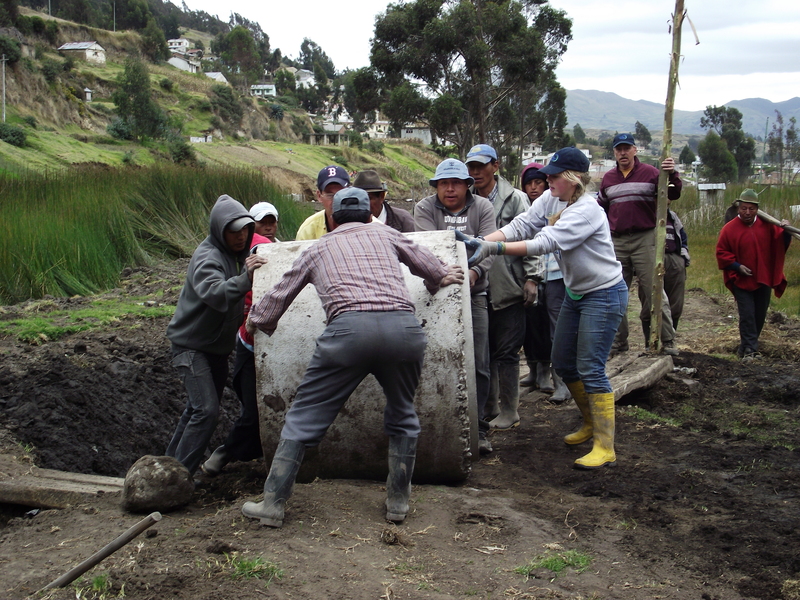 Materials are either donated or provided by the communities or other charities, sometimes with the help of the Ecuadorean government. 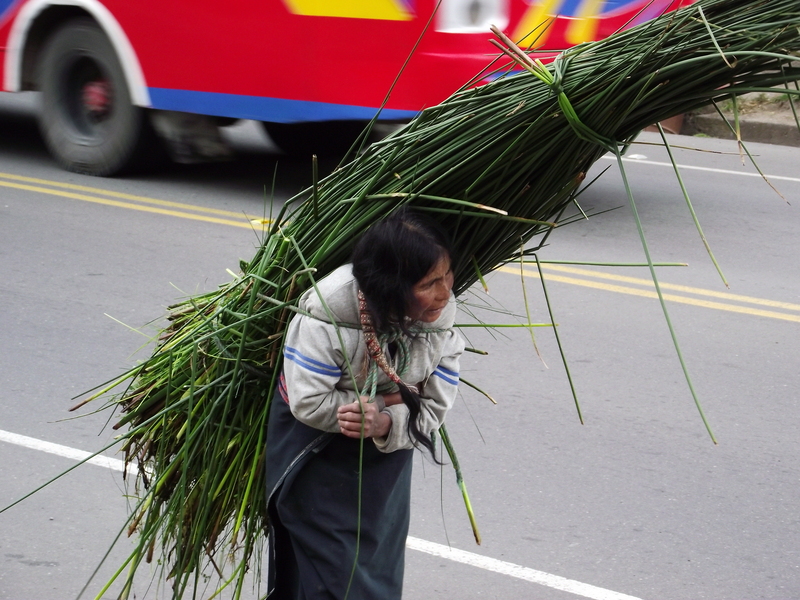 These are typically projects for indigenous Indians, generally considered the lowest social class in Ecuador. The Rydbeck’s periodically welcome mission teams from supporting Churches in the United States. The teams bring goods and goodwill from home, get involved to a varying extent with the work projects, and help minister in the communities. Together they bond with the community for a short time, bringing God’s love along with a great project. According to Cherith and Bruce, it means a great deal for these people to see westerners come and work alongside them and treat them as brothers and sisters in Christ. Many of the people may have never seen a westerner before. 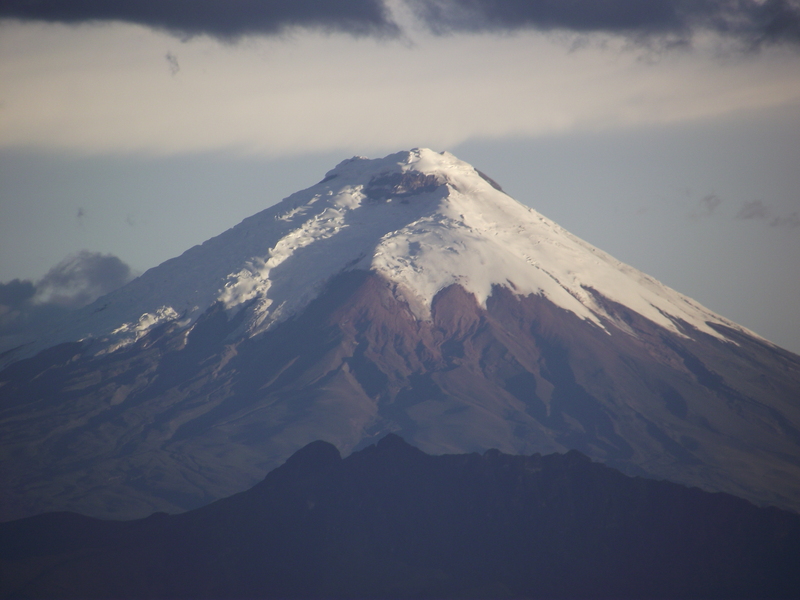 By the time we arrived in Quito, we had taken a three hour flight from Boston to MIami, then a four hour stopover, then a four hour flight to Quito. With travel to and from the airports we had been traveling 13 hours by that point and were trying to adjust to the nearly 10,000 foot elevation. Clearly we needed a day or two to adjust before making the four hour trip to our destination in the mountains. Bruce and Cherith were great hosts! 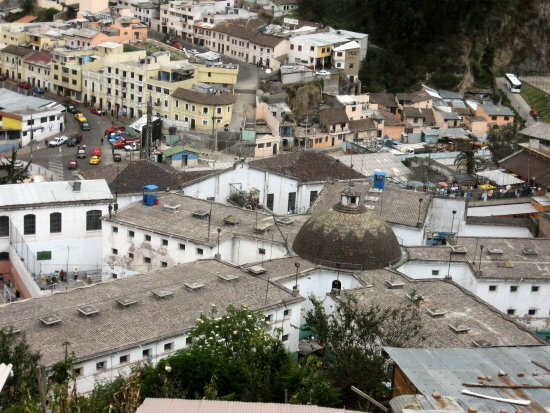 Bruce is a very knowledgeable person, and took us around Quito visiting important sites. Cherith was the primary organizer, who made sure we had clean, healthy food to eat. 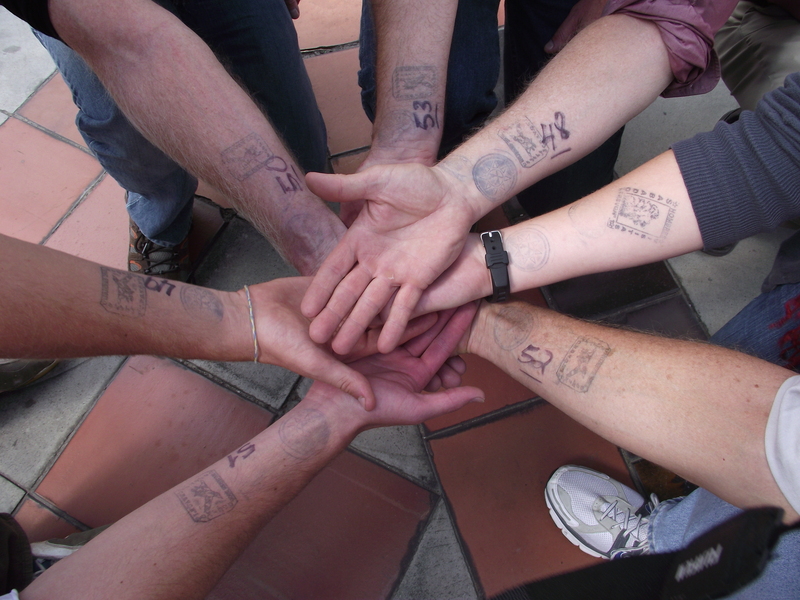 When we were in Quito, we generally ate at their house or a restaurant that was pre-screened for cleanliness by Cherith. She is an excellent cook and made us feel right at home; so much so that she immediately put us to work! 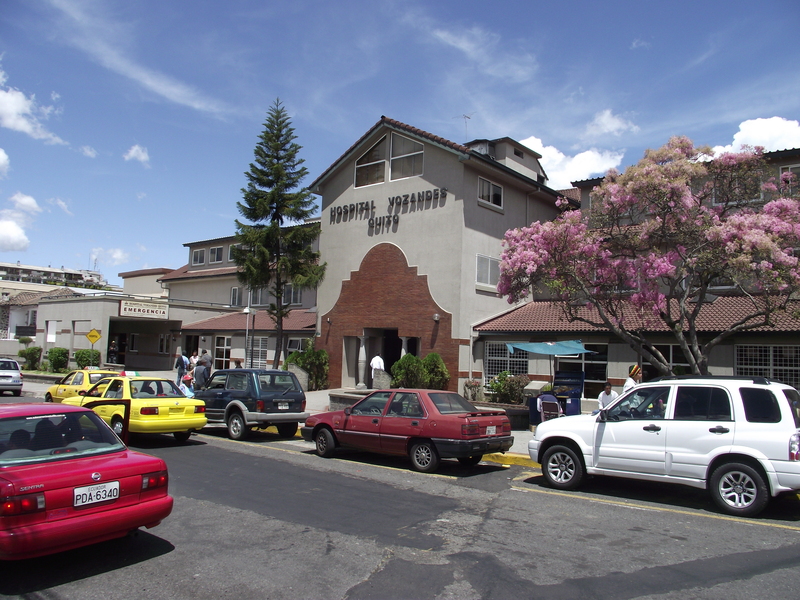 After viewing some of the charitable efforts of HCJB in Quito including the hospital, our group from Free Christian Church began preparations for a four hour trip into the Andes. 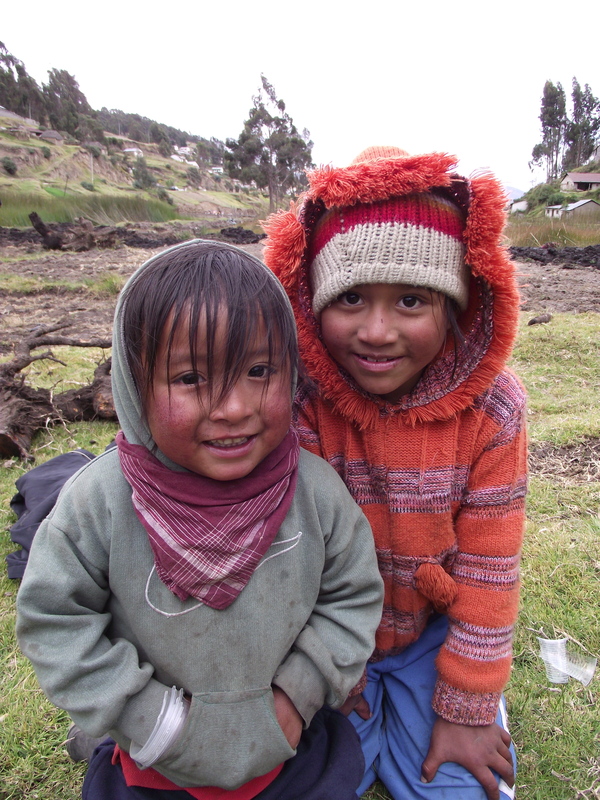 Our destination was the community of Yana Cocha (black lake) where Bruce was about to begin an ambitious effort to contain a spring and bring clean water to around 100 homes built into two separate very steep hillsides. Communities that want a clean water project make a request to HCJB and commit the labor necessary to build it. They also know that it may take time to raise the funds for the materials and other expenses for the project. Typically the trenches are hand dug, and most of the work is done “the old fashioned way”. Labor is cheap and readily available, while money and heavy equipment is largely unavailable. 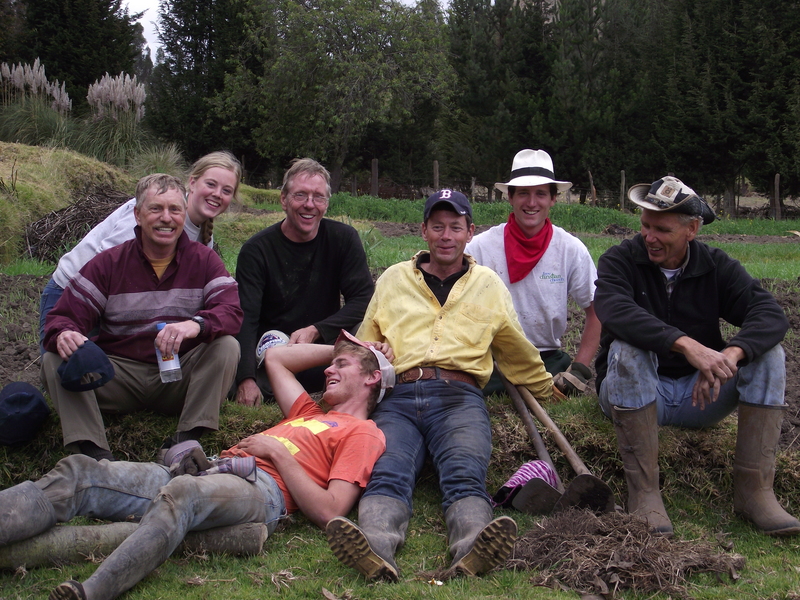 Having started to adjust to the culture and high altitude, we were ready to move on to a more rural part of the Andes. With political unrest in Haiti preventing our Church from sending a team this year, I decided to sign on to a mission trip heading to Ecuador. I have only been to a few countries in Central and South America, and wanted to visit another culture. 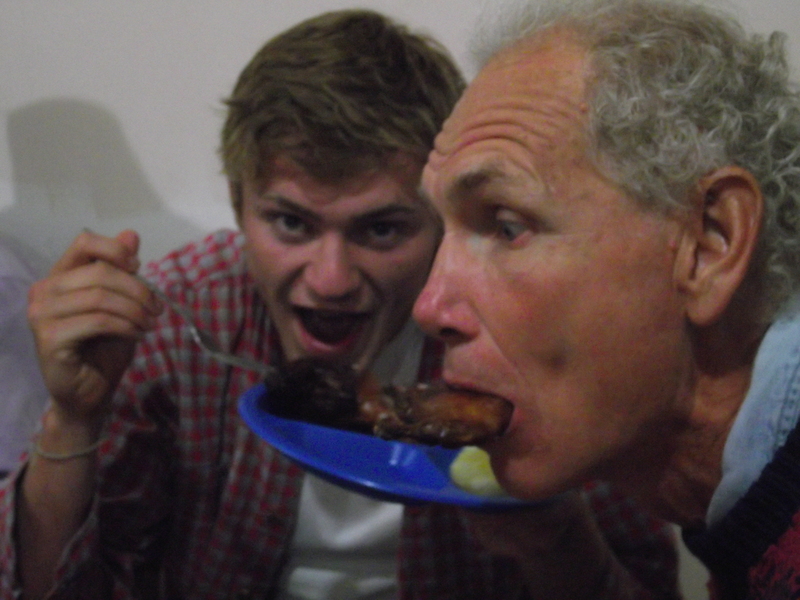 I was emotionally struck by what I saw in Haiti, and was hungry to learn more about the rest of the world. As a patriotic American, I have been led to believe that there is not much reason to visit anywhere but the good old USA except a few major cities and some gated, self-contained resorts in tropical areas. I still have not found anywhere that I would rather live, but as you begin to travel around to experience different cultures, they become fascinating. Life is too short and money to precious to visit all the places I wish to see and experience! HCJB Global (www.hcjb.org) is an international Christian mission group with ministries on five continents. They build radio stations, provide internet access, build hospitals and water systems in poor areas around the world. According to HCJB’s Facebook page, only about 50 percent of rural Ecuadorians have access to clean drinking water. Many of these residents resort to drinking contaminated water, often resulting in disease and even death. Others spend hours each day hauling water from distant sources, expending valuable resources. Free Christian Church in Andover, Massachusetts has been supporting Bruce and Cherith Rydbeck of HCJB Global Water for nearly 15 years but have never sent a team from our Church until now. Bruce is a civil engineer who has dedicated his career to bringing clean water to poor villages. As a civil engineer myself, I felt called to see if this is a place where God wanted me to use my training for some purpose. I found this interesting video on the HCJB.org site. 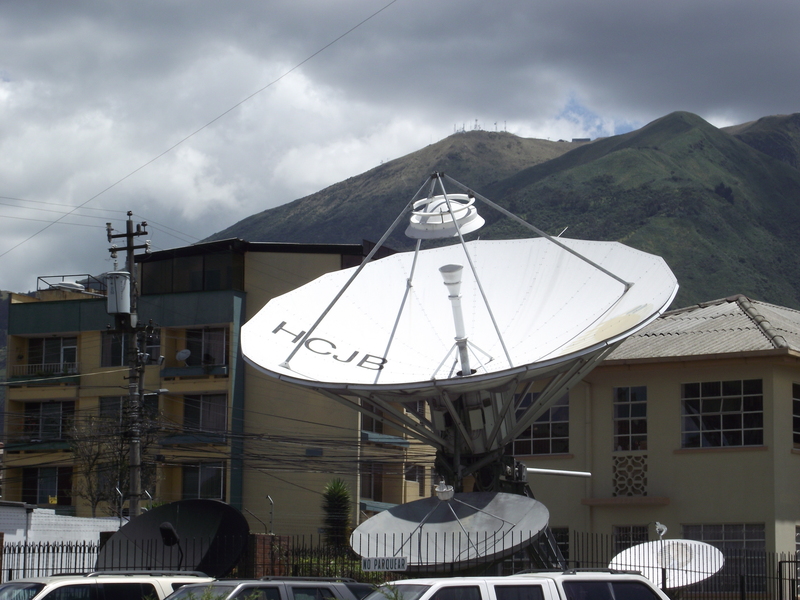 There are six of us from FCC that plan to travel to Quito in early August, and then journey through the mountains to a remote location 11-14,000 feet above sea level. Though the location is near the Equator, August is winter time in South America and at such a high elevation it is supposed to be very cold. 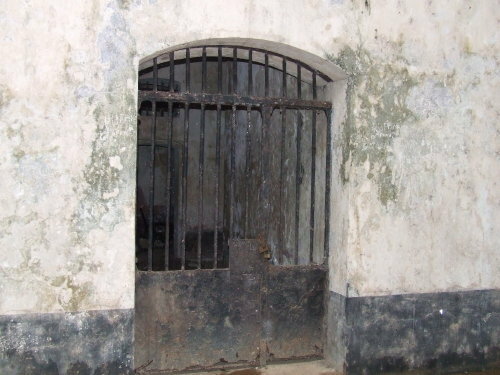 In Quito we intend to spend a brief time working with the prison ministry. After travelling to the rural mountains we will be working with local villagers helping them install water piping and pumps, controls, etc. to provide them with convenient, clean water for the first time. Today, someone probably carries water 4-5 hours/day for each household. Women farm; men may work as day laborers. In the evenings we intend to share the message of Jesus Christ with the villagers. We will likely have a shelter to sleep under but it will be quite rustic. I am looking forward to getting to know another culture, helping to improve some lives, and getting to meet new friends. Purportedly insect repellant is not an issue, mosquitoes/bugs can’t breathe at 11k ft ! According to Cherith Rydbeck, this may be the first time that these people have seen a Westerner. She told us in a recent Skype interview, that the villagers will be quite pleased and impressed that we came to help them. These are indigenous people who were effectively slaves as recent as 40 years ago. I have traveled to many very poor areas, and have seen some awful suffering. I have helped a little, learned a lot, but mostly have gained new insight as to what is really important in life. God has consistently reminded me that he loves all of us, and none of us is more important to Him than any other. In our country we are a very proud, prosperous people and I hope we never lose that. But more important than pride in America is the thankfulness we should have for all the blessings that God has given us; clean, fresh water is just one of them. I am amazed to learn of still another large missionary organization that provides much-needed services to the very poor around the world. Understanding that people have to take responsibility for their own needs as much as possible, they will only build a water system to a village if the residents partner to do most of the physical work. I honor Bruce and Cherith for the sacrifices they have made and am looking forward to working with them in Ecuador.